Marco Reus becomes the latest soccer player to be an ambassador for HyperX. HyperX continues to expand on its list of ambassadors. The latest sign-up includes the talent of Borussia Dortmund talent Marco Reus. 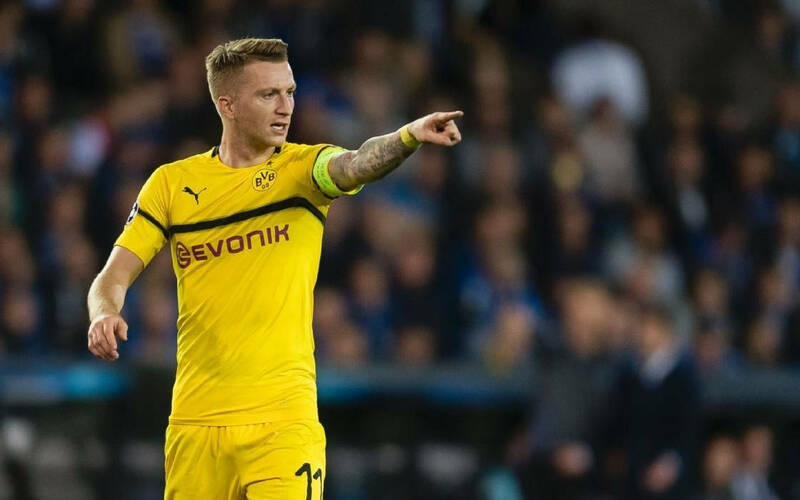 Marco Reus from Borussia Dortmund has become the latest professional athlete to join HyperX as an official ambassador for the gaming peripherals manufacturer and brand. Mr. Reus will help HyperX raise its profile among soccer fans with exclusive streams from his traveling around playing soccer for his team. HyperX has a partnership with England national Dele Alli, NBA’s Gordon Hayward, Joel Embiid and others. Another noteworthy name is NFL Pittsburgh Steelers’ JuJu Smith-Schuster who joined at the same time as PLAYERUNKNOWN’S BATTLEGOUNDS professional Shroud. Mr Reus is in FIFA 19 and he was voted by fans to be the cover footballer of FIFA 17 released by Electronic Arts (EA) Games. Apparently, there’s much love for him among both the gamers and esports communities. HyperX is a product designed for gamers, but much like mainstream brands are seeking closer ties with esports to boost their outreach, so HyperX sees the benefits of adding athletes to help it raise its profile and reach new audience. The brand has focused on promoting itself across basketball and soccer and has developed one of the most thorough esports arenas in the United States, the HyperX Esports Arena Las Vegas. In addition, HyperX premiered a mobile esports arena, which is equipped with both a gaming station and a broadcasting studio. HyperX has been actively adding teams, sponsoring compLexity and recently announcing the “We’re All Gamers” campaign featuring different athletes. The relationship between esports and football can be explained as a symbiosis. On the one hand, teams are doing their best to break new grounds and add fans – in one form or another. Conversely, esports organizations are seeing the potential of advertising with the help of football clubs. Football clubs (FCs) are not just entertaining the idea as a distant possibility. For Paris Saint-Germain (PSG), being involved with esports means fielding teams in diverse competitions, including Dota 2, Rocket League, FIFA, and most recently – Mobile Legends Bang Bang. This is just one of the examples that stands to highlight the mutual benefits that esports and mainstream sporting contests give each respective participant. Who Invests in Esports Today? Esports investment has been floating from multiple directions. Apart from companies interested in marketing their products, there have been celebrities including Drake and Steve Aoki, NBA legends Shaquille O’Neal, Steph Curry and Rick Fox, Dallas Cowboys owner Jerry Jones, Shark Tank’s Mark Cuban and many more. Meanwhile football clubs with esports ambitions now include the Spanish LaLiga, German Bundesliga, the English Premier League (EPL) and the Danish eSuperliga. In Germany, clubs like Schalke 04 are gaining much traction. Schalke 04 is now in the League of Legends European Championship (LEC) as one of the franchised teams. Recently, Bayern Munich announced that the club has had a sudden change of heart as to its stance on esports and the club will now consider developing its own competitive video gaming division. HyperX has signed up Marco Reus from Borussia Dortmund to be the brand's ambassador. HyperX has active partnerships with a number of athletes.